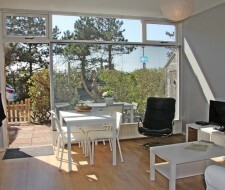 Apartment MyBeach is a nicely decorated little studio on a central location in Zandvoort. Two streets ahead is the beginning of the boulevard, so the beach is within short walking distance. Completely new furnished cottage with cozy sleeping loft for 2 personnel with a Outside. Modern and comfortable apartment on the top of a dune, with cozy courtyard garden and free parking. Close to the beach and on the edge of the "Waterleidingduinen”. Modern and comfortable apartment on a dune, with cozy courtyard garden and free parking space. Close to the beach, next to the “waterleidingduinen”. 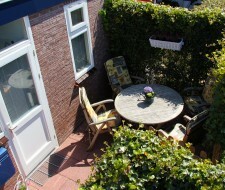 View all accommodations in Zandvoort. Welcome to Booklidays Zandvoort ? 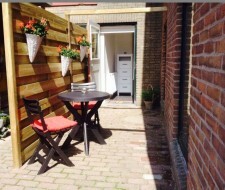 Booklidays has the alternative for your stay in a hotel or guest house in Zandvoort. Just compare the price per person per night you pay for our holiday homes with those of a hotel or guest house in Zandvoort. In addition, our unique holiday homes offer you privacy, a good atmosphere and comfort. You want to save and additionally a lot of comfort and coziness? Choose an apartment in Zandvoort with sea view, a bungalow, a holiday home by the sea or Zandvoorts' cozy bed and breakfast. Stay in one of our “Zandvoort Apartments” and enjoy the amazing nature, the clean beach, the famous circuit and the old village center. Enjoy from your holiday home the many activities, events and facilities in this buzzing seaside resort on the Dutch North Sea coast. Zandvoort is the only seaside resort on the Dutch North Sea coast with a direct train to Amsterdam. 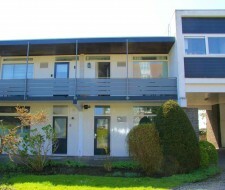 From your Holiday home in Zandvoort you are only 30 minutes away from the center of Amsterdam! Search: direct your holiday home Zandvoort.